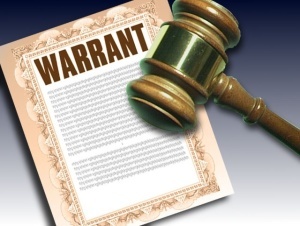 Law Web: Whether magistrate can issue warrant at stage of investigation? Whether magistrate can issue warrant at stage of investigation? under Section 167 of the Code. with Section 167 (3) of the Code. Respondent No.1 – State of Gujarat. Respondent – State. Perused the record. of by bogus power of attorney deed. necessary for arresting any such accused. security is taken under Section 71.
further in accordance with law. crime or nature of the offender. under reference is of State through CBI v.
27.5.2016 i.e. 2nd day of the FIR i.e. reported in 2016(1) GLR 208.
repoted in 2013(0) AIJEL – HC 231437.
decisions on such issue by different Courts. ensure that investigation is completed. custody at­least for twenty four hours. proceedings in nature of present litigation. which this discretion is exercised. precious of all the human rights. survival of a civilized society. been filed with an oblique motive. necessary to file the applications. against the Petitioner in that case. nature of crime and person concerned. by judicial authority is not required at all. between 10.00 am and 6.00 pm. police custody if he so desire.